It was an emotional day for friends and family of the Mount Dora Christian Academy boys team. Gabriel Curtis just won his second and final individual cross country state championship title in a time 15:52. Hands in the air and eyes faced up, it was a surreal moment to watch as Curtis crossed the line. Shortly after finishing, Curtis turned to watch his teammates cross the finish line. One by one: Jackson Pruim fifth (16:04), his brother Mitchell Curtis fifteenth (16:49), Tom Valente (17:26), Sebastian Deleon (17:33), Nikolas Gibson (17:54). The team gathered to the fence where their friends and family were waiting to hug and congratulate them -- with the unofficial team scores. They did it. They won, for the second year in a row. They formed a huddle and they took a moment to pray -- to reflect on the season, their hard work, and to thank the one they credit for helping them get there. It was an emotional moment to watch as friends and family began to close their eyes with the team as their prayers began to rise and every other sound became white noise in the background. 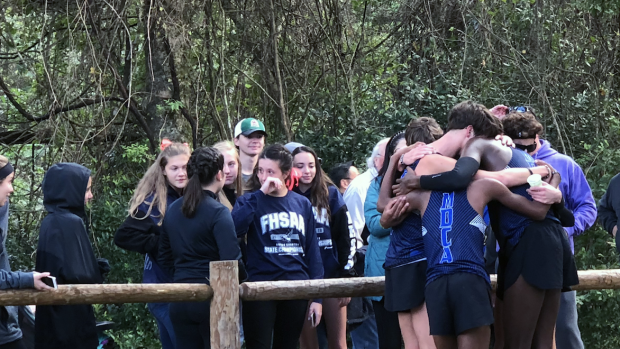 When they broke away from their huddle -- tears in their eyes -- they walked away from the course, knowing they put it all out there. "I hope everyone remembers this team as something bigger than just a classification, bigger than just one team. This is what cross country is about," Curtis said. The MDCA boys run for something bigger than the 1A classification. They run for something bigger than themselves or their team, they run to glorify their God. "I want to make this season memorable. Not just on the course, but off the course," said Curtis. "Thats the big goal of mine and move the team closer to Christ -- that's important to me." 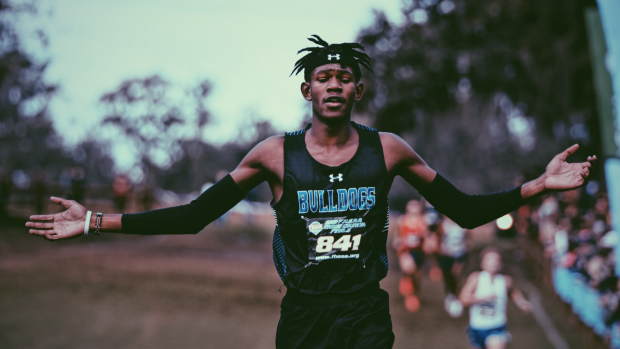 After Curtis' individual win, team championship win, and team prayer, he announced that next year he will return to Tallahassee as a Florida State Seminole. Curtis, along with fellow seniors, Jackson Pruim and Sebastian Deleon, will graduate and leave the MDCA team, but their legacy and character will live on the the team culture that they helped create. The MDCA boys are bigger than just one team and one classification, they represent what cross country is all about -- teamwork.